Did you know that, for countless thousands of years, sound has been successfully used by man as a powerful healing mechanism? Its true. Many ancient cultures have taken advantage of the powerfully effective healing properties of sound. For example, the ancient Aboriginals (of Australia), Egyptians & Babylonians, are among the first known to use sound healing. Using tools such as a didgeridoo, low frequency drumming, and harmonically resonant tones, these cultures successfully facilitated the healing of broken bones, muscle tears, common illnesses, and countless other conditions. 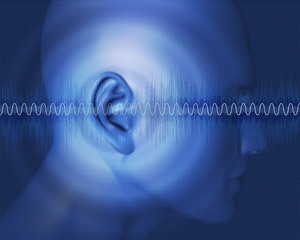 There is an abundance of research supporting the healing properties of sound, including ultrasound, infrared, and consciousness altering audible sound. Therapeutic ultrasound, in particular, is widely popular as a medical treatment for a variety of ailments, such as kidney stones, tumors, cancer, teeth cleaning, bone regeneration, liposuction, killing bacteria, & much more. Perhaps the most important breakthrough would be the ability to beneficially alter the brainwave patterns of the user using audible sound. The implications of brainwave entrainment on a persons quality of life are immense, including the ability to induce highly beneficial states of consciousness: relaxation, focus, meditation, sound sleeping, learning, creativity, anxiety & depression relief, and much more. Yes. Using our extensively researched multi-layered sound technology, EquiSync provides the perfect equilibrium of brainwave entrainment frequencies designed to help your mind reach degrees of dramatically superior functioning– successfully benefiting your brainwave states by introducing the extremely healthful brainwave patterns of meditation, Alpha, Theta, & Delta. Are the advanced sound therapy features of Equisync what make it so popular and effective? Equisync does indeed use certain sound healing principles not found anywhere else. Some of the advanced features of Equisync’s sound healing are – Synchronized Wave Modulation™, Multi-Layered Entrainment™, Harmonically Resonant Architecture™, & Deep Carrier Frequencies™. Incorporating both ancient & modern sound therapy characteristics, Equisync will be the end of your pursuit for something that really works. A whole new world awaits you!